The AVCA has announced their 9th annual Men’s NAIA All-American Teams. This is the second season in which the team has been extended to 12 players with the addition of an Honorable Mention All-American list. 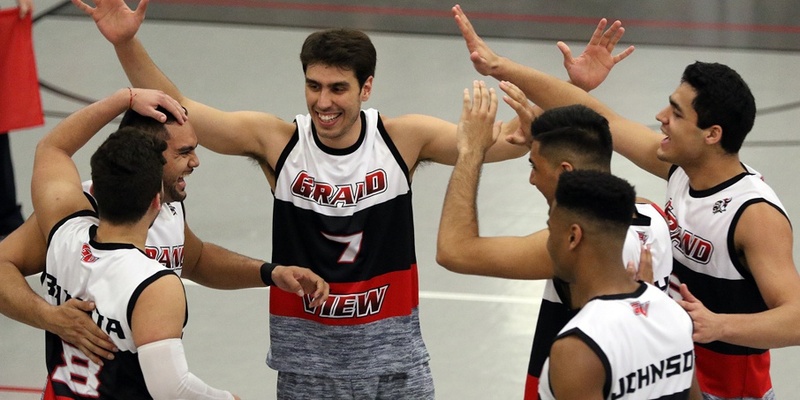 Grand View and Missouri Baptist led the list this year with each program sporting three players on the All-America list, making them the only programs with multiple honorees on the team. Three players have earned this honor more than once in their careers, with Missouri Baptist’s setter Kyle Foley securing the honor for the fourth and final time. Foley averaged 11.37 assists per set on the year, leading the team to a .319 hitting percentage. Additionally, Foley put down 60 aces, 1.82 digs per set and 0.56 blocks per set. Grand View’s Felix Chapman was named the AVCA NAIA Newcomer of the Year after posting 3.03 kills per set, 1.10 blocks per set and 1.04 digs per set for the season. The AVCA NAIA Men’s National Player of the Year will be announced at the NAIA Banquet on April 16. Luka Cajic Missouri Baptist University OH So. John Chamone Grand View University OH So. Felix Chapman Grand View University MB So. Kyle Foley**** Missouri Baptist University S Sr.
Jesus Izaguirre Benedictine University at Mesa L Jr.
Daniel Jacobs** Ottawa University RS Sr.
Tim Johnson Jr.** Grand View University RS Sr.
Steven Rodriguez Missouri Baptist University OH Jr.
Phil Schick Cardinal Stritch University MB Jr.
Peyton Schirman Briar Cliff University OH Sr.
Eric Ubior Lourdes University L Sr.
Ammuniki Wood Culver-Stockton College MB Jr.
Errol Basconcillo Ottawa University L Sr.
Evan Gebert Lourdes University OH RS-So. Cameron Hibbler Missouri Baptist University MB Jr.
Jaron Jones Benedictine University at Mesa S Jr.
Andrea Maggio Park University RS Jr.
Luke Pope Ottawa University S Sr.
Austin Royer St. Ambrose University S Sr.
Cole Smith University of California-Merced RS Sr.
Logan Webber Cincinnati Christian University OH Sr.
Robert Ying Robert Morris University S Jr.